This Beautiful Home is on a cul-de-sac, with central air & heating, newly refinished wood floors, new window shutters, new double pane windows, ceiling fans, living room and a family/tv room both with fireplaces, office space, large master bedroom, modern bathrooms with fixtures, modern kitchen with large stove top, flat screen outlet ready, large backyard, Verizon Fios internet available. 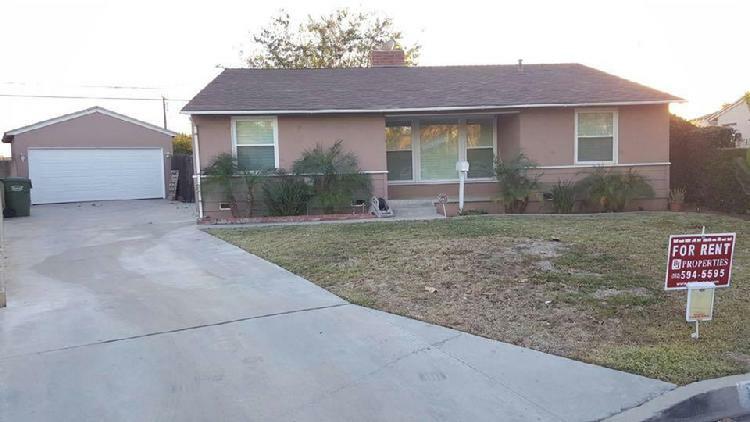 Near schools & 5 mins from Uptown Whittier and within walking distance of Quad. Centrally located near Whittier Bl & Painter Av.